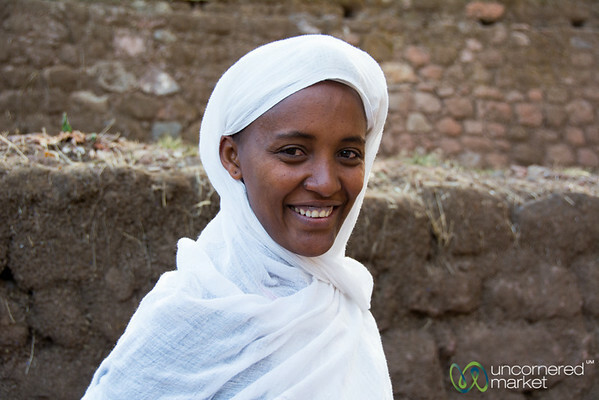 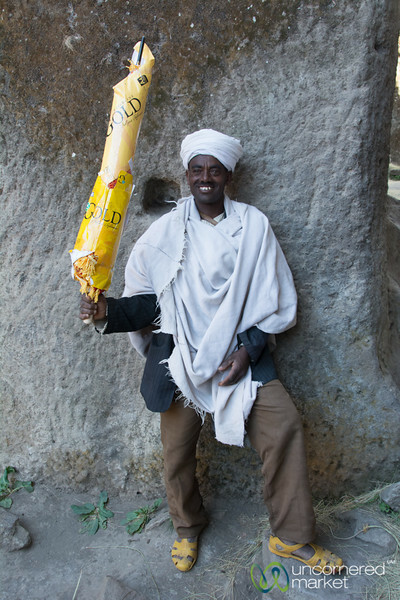 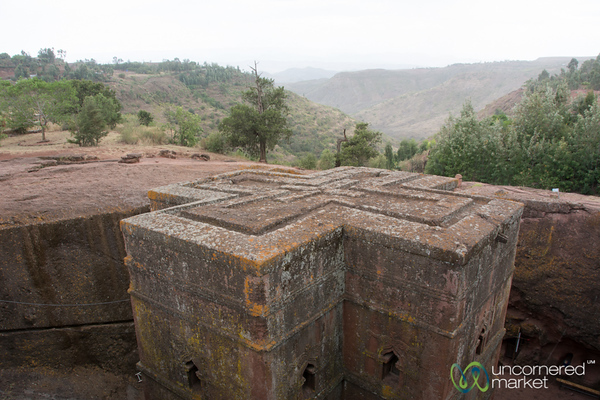 Photographs from Lalibela - rock hewn churches, cave churches, cooking class and a village wedding preparation. 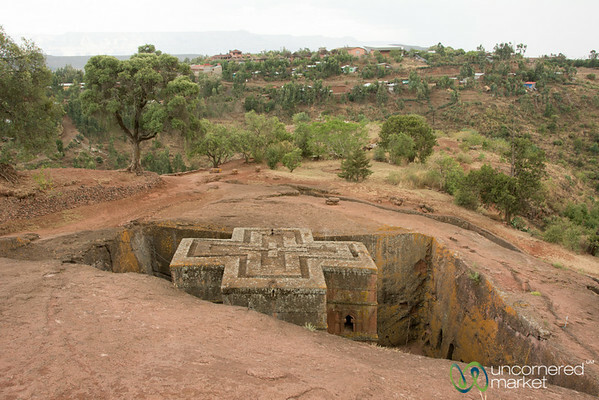 Rock hewn church of Saint George (Bet Giyorgis), the most famous of the Lalibela churches in northern Ethiopia. 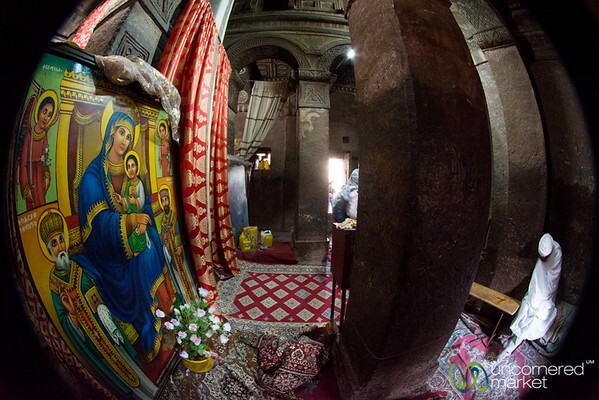 A fisheye view inside Biete Madhane Alem rock hewn church in Lalibela, Ethiopia. 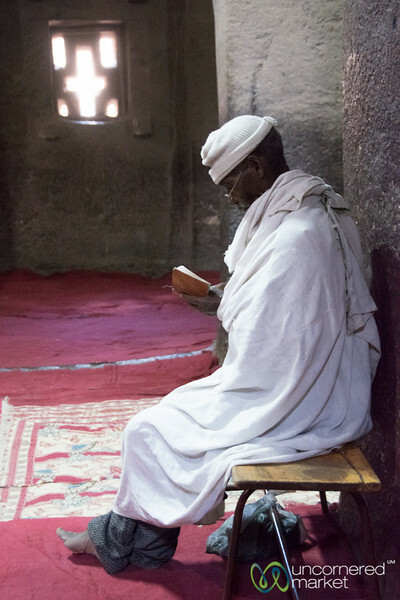 An older Ethiopian man reads and studies inside Biete Medhane Alem Church in Lalibela, Ethiopia. 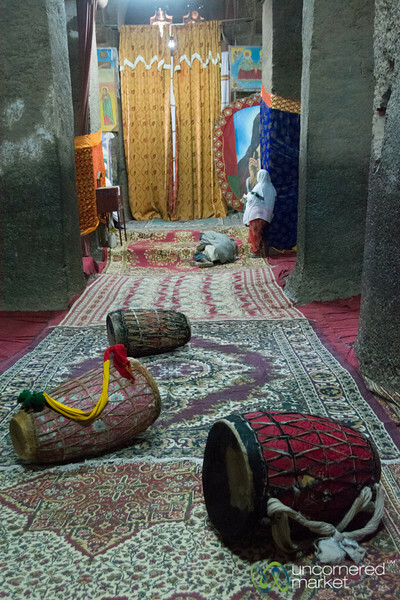 Ethiopian drums inside the large Biete Medhane Alem rock hewn church in Lalibela, Ethiopia. 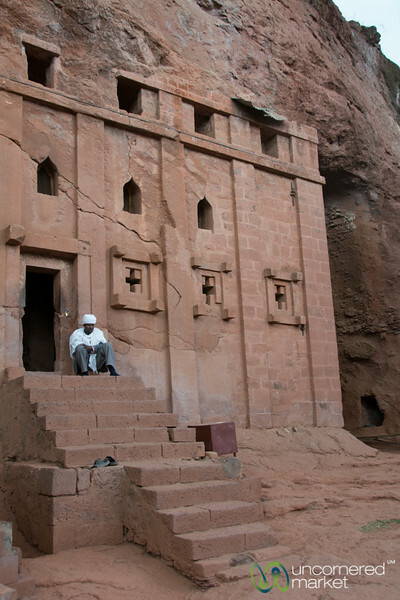 An Ethiopian priest sits in front of the rock hewn church of Bet Amanuel (Emanuel Church) in Lalibela, Ethiopia. 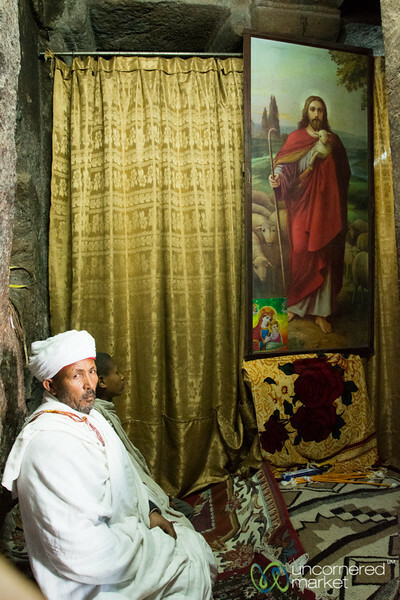 An Ethiopian priest inside a rock hewn church in Lalibela, Ethiopia. 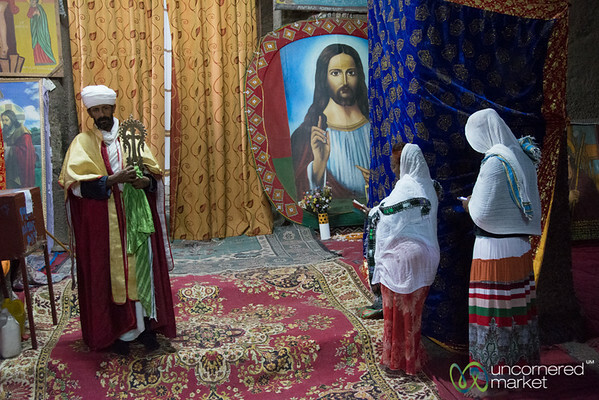 Waiting for a blessing at Biete Medhane Alem (House of the Saviour of the World) in Lalibela, Ethiopia. 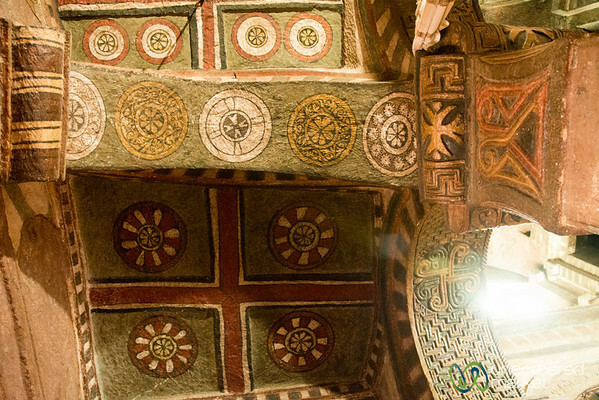 The painted ceiling of Bet Maryam (Mary Church), one of the most beautiful rock hewn churches of Lalibela, Ethiopia. 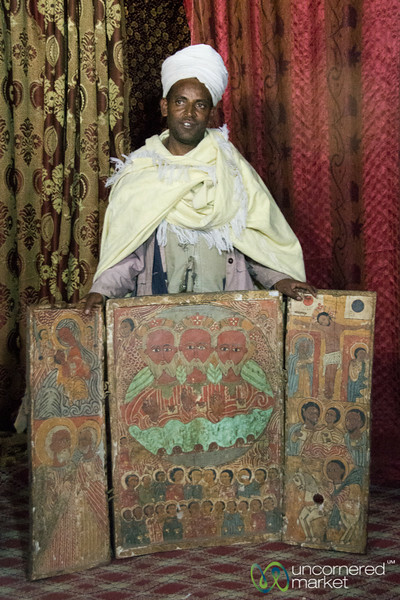 Ethiopian priest brings out old Ethiopian religious paintings at Ashetan Maryam church near Lalibela, Ethiopia. 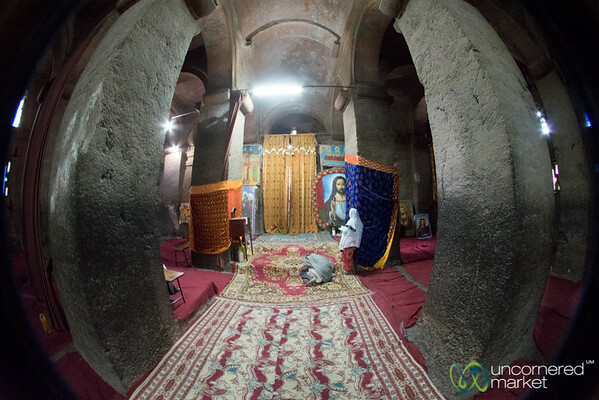 A fisheye view inside Bet Maryam (Mary church) in Lalibela, Ethiopia. 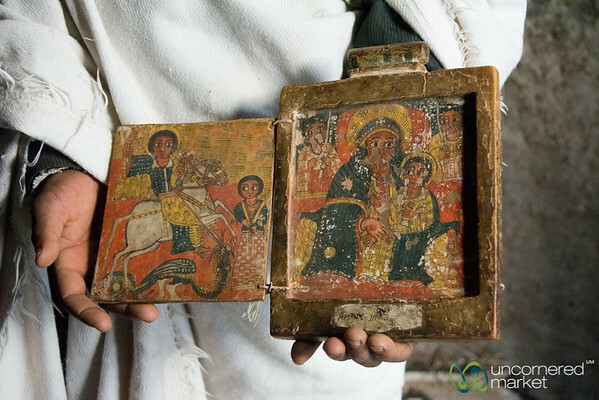 Ancient Ethiopian religious paintings at Ashetan Maryam church near Lalibela, Ethiopia. 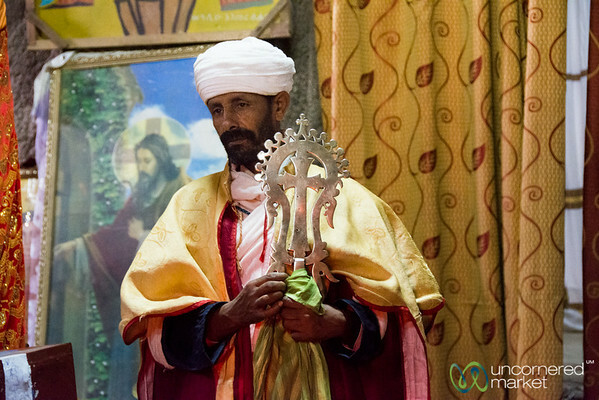 An Ethiopian priest with the gift of a new umbrella at Ashetan Maryam church near Lalibela, Ethiopia. 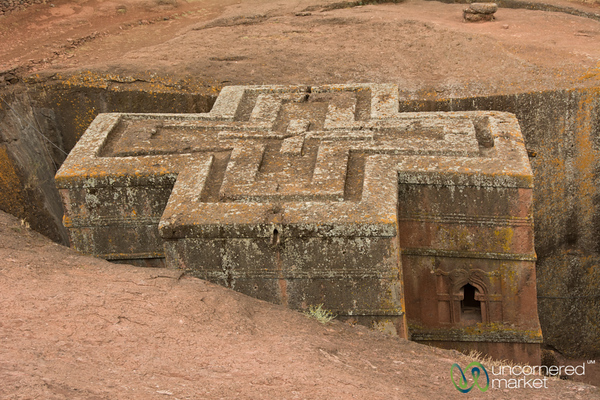 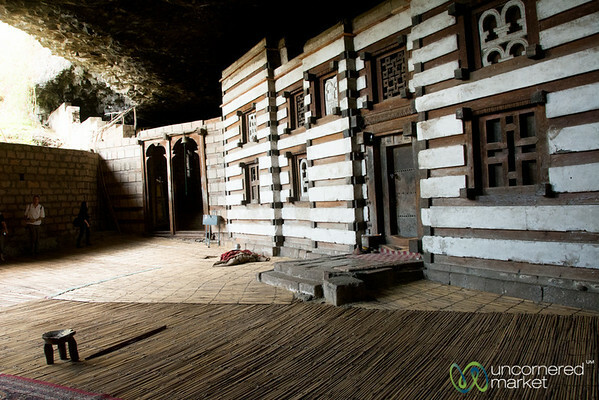 12th century Yemrehana Kristos Church is located in a cave in a village about 50 km outside of Lalibela, Ethiopia. 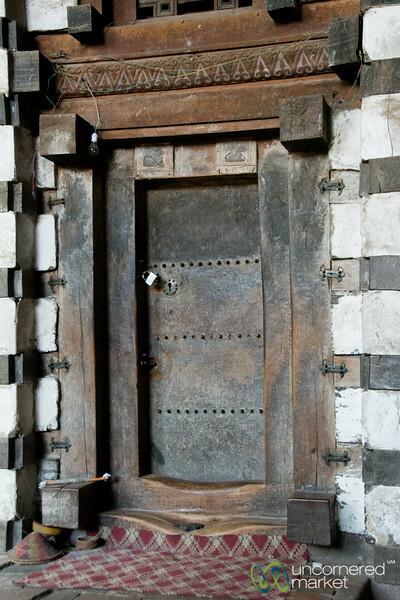 An impressive doorway on the 12th century Yemrehana Kristos church near Lalibela, Ethiopia. 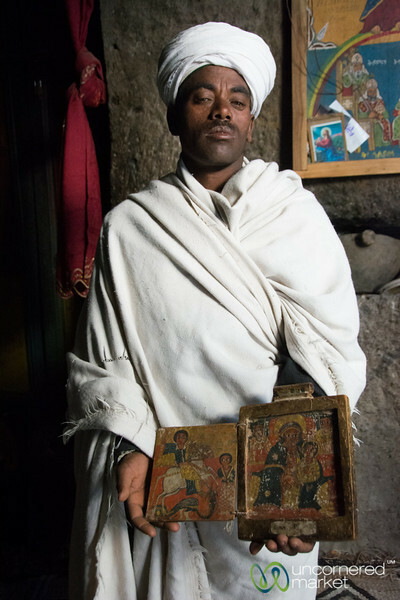 The Ethiopian Orthodox priest brings out the old paintings of the church for us to look at at Yemrehana Kristos Church around 50km from Lalibela, Ethiopia. 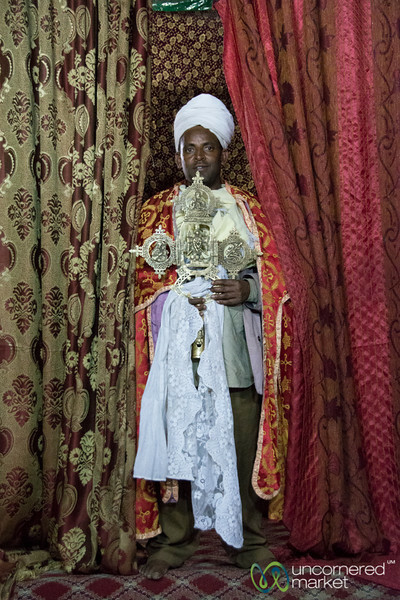 The Ethiopian Orthodox priest brings out the old cross for us to look at at Yemrehana Kristos Church around 50km from Lalibela, Ethiopia.